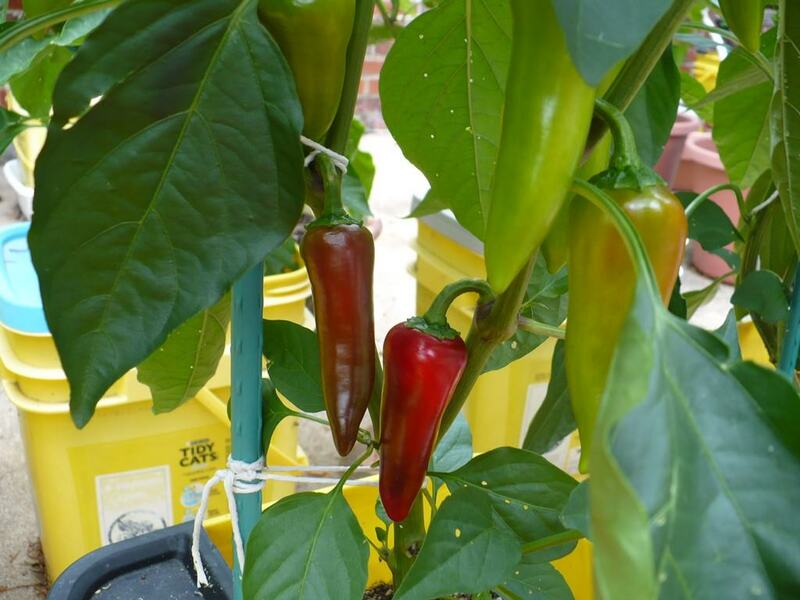 When i save peppers for seeds i leave them on the plant AFTER ripe for several days otherwise they get picked when ripe. Then leave them on the counter for a couple days before going in the fridge/frozen or used. That seems like a good time to pick. Worst case, it'll ripen more off the plant if you do pick too early. I leave mine on for around a week after getting ripe usually if I'm saving seeds, but otherwise it'd be good to pick at that point. 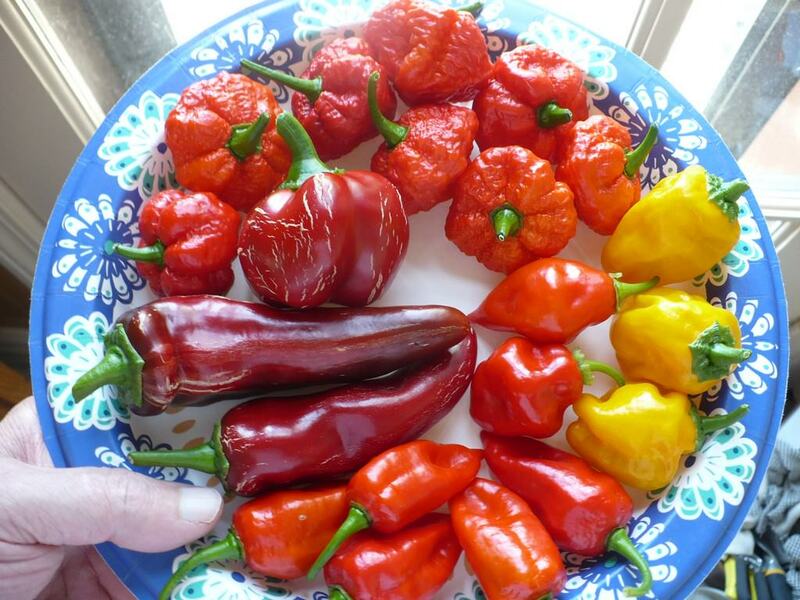 I've read that peppers hit peak heat before ripening completely due to something about sugars. I can't personally taste a difference in heat when it gets that high though. Todays pics including the Starfish that the soon to be dead ground squirrel bit into...man am i pissed about that. 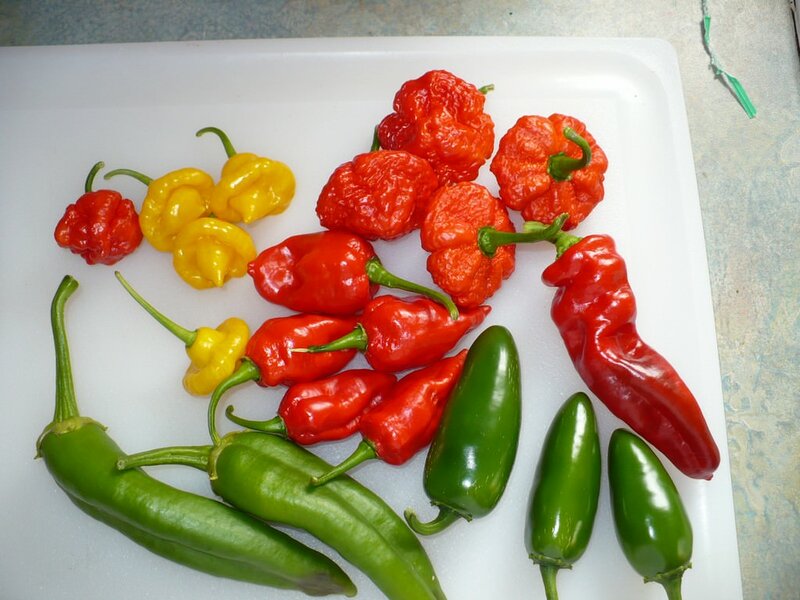 The mystery plant still has a couple more that are close....These pods are super tasty. I could pick this Bell of Gollu but i got several red bells in the fridge atm. First ripe Fresnos from seed. Gunna be a bunch of MOA reds soon. Are you gonna eat that pre-bitten pepper? Todays harvest, red ones, yellow ones, brown ones, big ones, small ones, short ones, tall ones. If only we could have seen that squirrel's reaction..
That is a gorgeous harvest!! Not possible here, I can be fairly sure there are no squirrels on my acreage. Saving it for seed stock. The other one i sampled was extremely tasty. SUPER sweet. 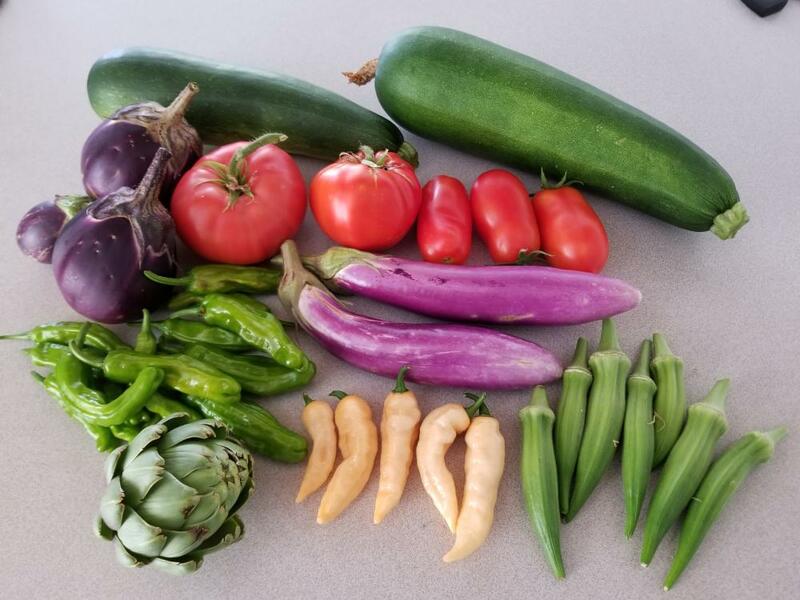 A quick picking from the garden this morning. Zucchini squash, japanese egg, chinese eggpant, beefsteak, mortgage lifter, san marzano, okra, shishito, peach bhuts, and an artichoke. Is the shishito similar or identical to Pimento de padron.? 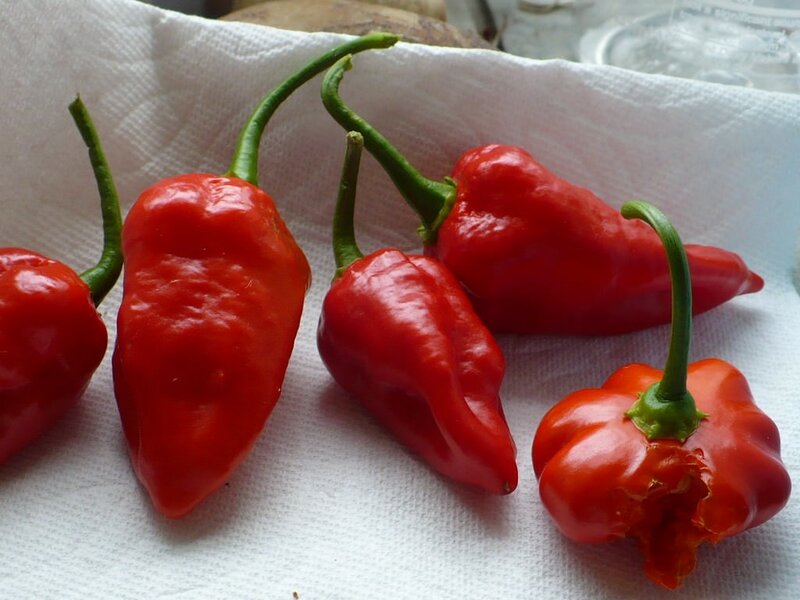 5 Naga?, 8 MOA reds, 2 Arnaucho, 2 mystery peppers (supposed to be Bell of Gollu? ), 1 Bell of Gollu and 3 Jamaican Gold from CCN with the wrong pheno. Damn things are hot though. One of my CGN-21500 x 7p Barrackpore plants decided to drop pods for some reason. 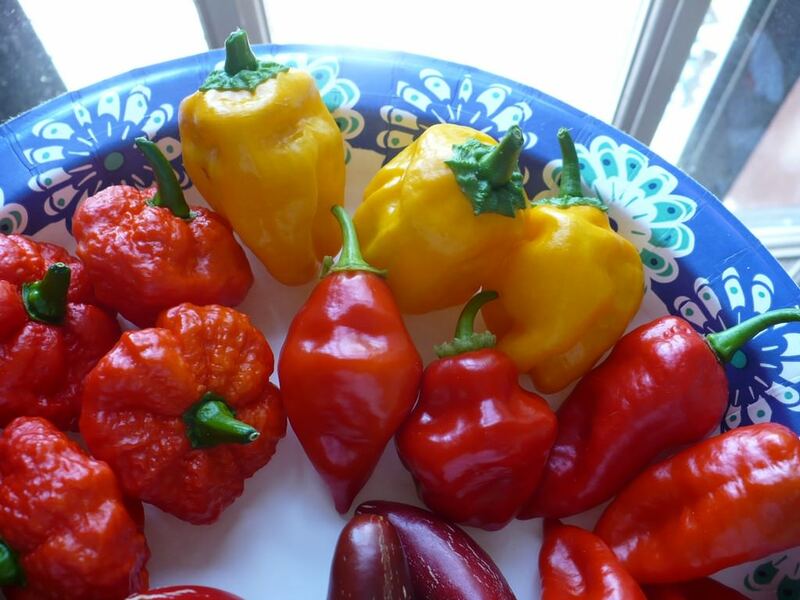 They sure look pretty at this stage, hopefully the seeds still mature if I let them ripen off the plant. 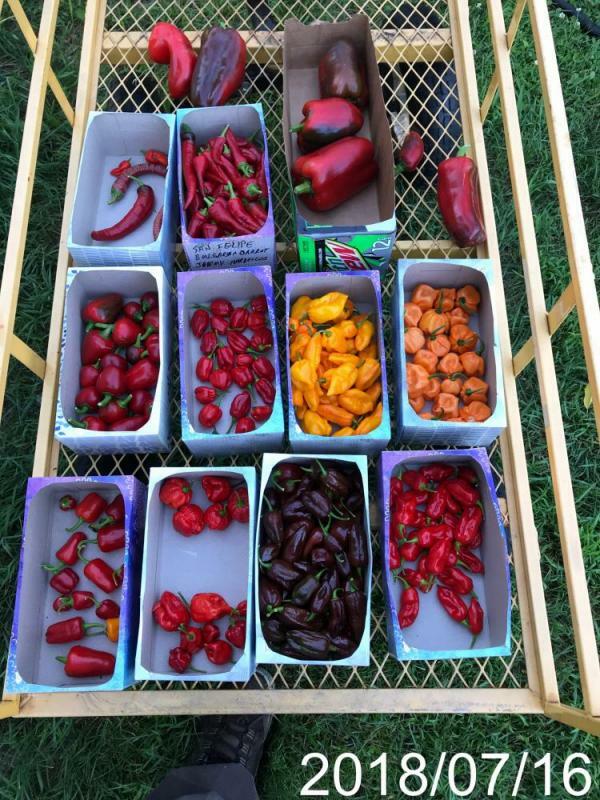 Also pictured (left to right, top to bottom): Long Red Thin Cayenne, Puya, LRT Cayenne X ??? (possibly puya), Another Cayenne from burpee mix, 7JPN, Japones, Lemon drop, Orange hab. 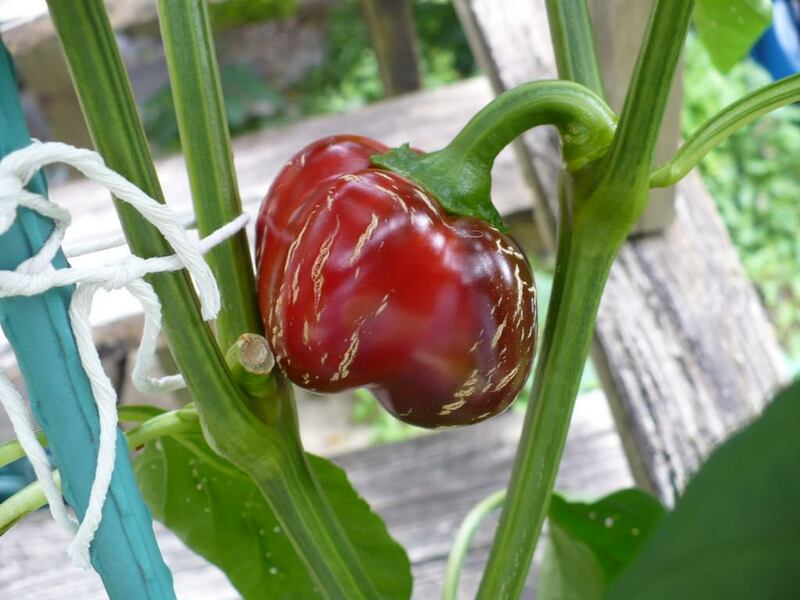 IDK, I've never grown or tried pimiento de padron. 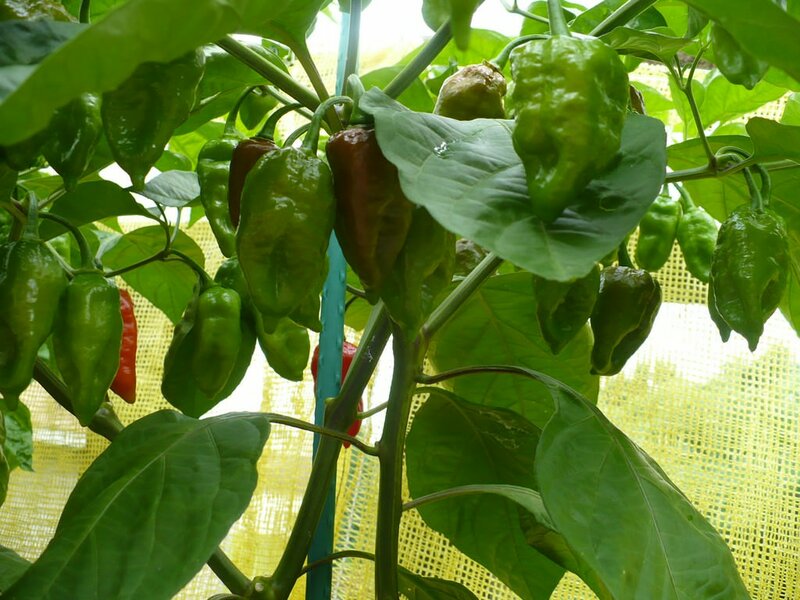 Shishitos are an asian variety. 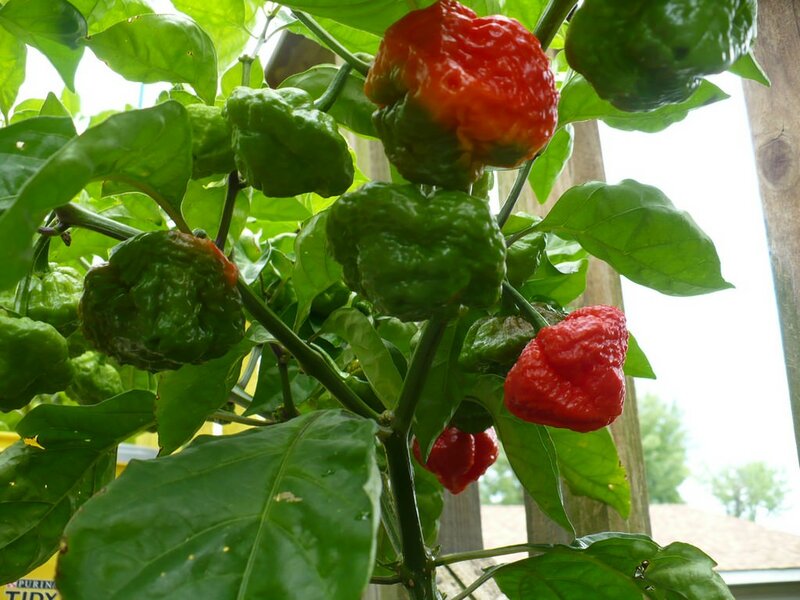 I googled an image of pimiento de padron, and shishitos look different. Anyone who have grown both? 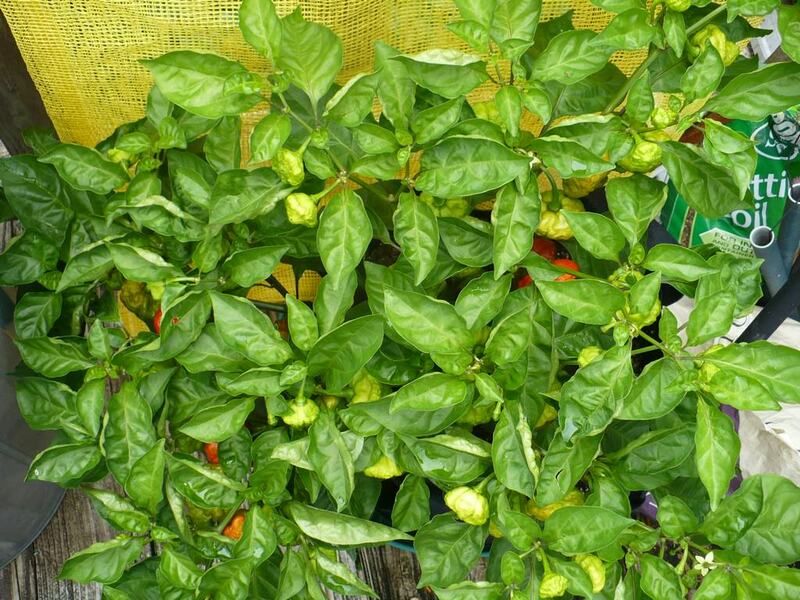 Aji Dulce and Trinidad Perfume need to be left on longer. They looked ripe but i get no sweetness from them. They sure smell like habs though. No heat at all on the Perfume and just a hint from the Dulce. Had to pick a couple Big Jims due to a little end rot. I tend to have more problems with BER on Anaheims for some weird reason. Other plants growing right next to them are fine. Edited by ShowMeDaSauce, 19 July 2018 - 03:27 PM. Trinidad Perfume is one of the few peppers I've disliked. I have grown both. Shishitos are thinner walled and more wrinkly. There never seem to develope any heat, even when ripened to red. They work really well for the quick blistering/grilling that most people do, as they are so thin. Padrons are a bit thicker. And the ones I grew definitely had some heat to them. Even when picked fairly young, they had Jalapeño/Serrano level heat. You had to get to them before they reached full size even to pick mild ones. But, just based on the way they cook and taste, Shishitos are definitely my favorite.